Last month Mat and Iwona, two of our Essilor UK employees, showed just how committed they are to the Group’s mission of improving lives by improving sight by combining their personal dream with fundraising for UK-based charity Vision Aid Overseas. In December 2016, a husband and wife from Essilor UK had a very different Christmas holiday break. 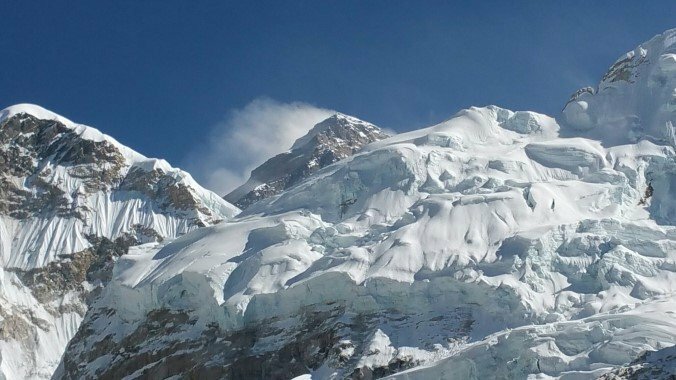 Whilst most people were spending the festive period relaxing with friends and family, Mat Bielski, a Production Support Supervisor at the Thornbury Lab and Iwona Bielska, Glazing CRM Team Leader, traveled to the Mount Everest base camp in Nepal. They documented their journey via a blog and set up a “Just Giving” donation page to raise funds among their colleagues on behalf of Vision Aid Overseas – an organization, founded over 30 years ago and focused on providing eye care to people in need. Mat and Iwona are keen explorers and have visited many parts of the world including walking the Inca trail to Machu Picchu in Peru. They first had the idea to travel to the Himalayas over 2 years ago but their plans were halted after the devastating earthquake in the region in April 2015 which killed almost 9,000 people. They finally made the plans to undertake their adventure and set off on 16th December 2016 arriving in Nepal the following day. 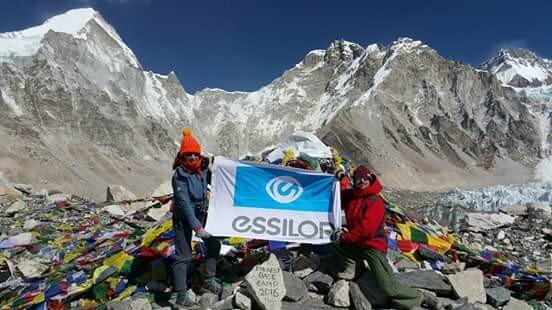 This was possibly the first time the Essilor logo had been displayed at such a high altitude so we took pictures as we wanted to record the moment. Mat and Iwona described their expedition as an amazing experience. Their first view of Everest came on day three of their trek and they were staggered by the natural beauty of their surroundings and the sheer size and scale of the landscape surrounding them. They were also amazed at how humble, happy, and willing to help the local people were, despite having little in terms of the home comforts we often take for granted. 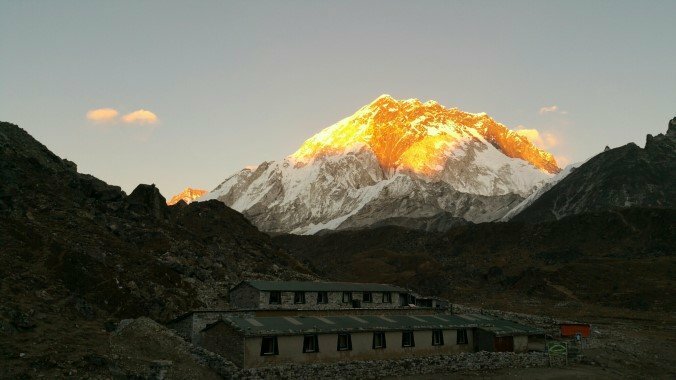 Everest base camp is the highest point in the Himalayas where climbers can go without the need for climbing equipment. Further ascent up the mountain is only undertaken with specialist guides and equipment so Mat and Iwona really were on top of their world! 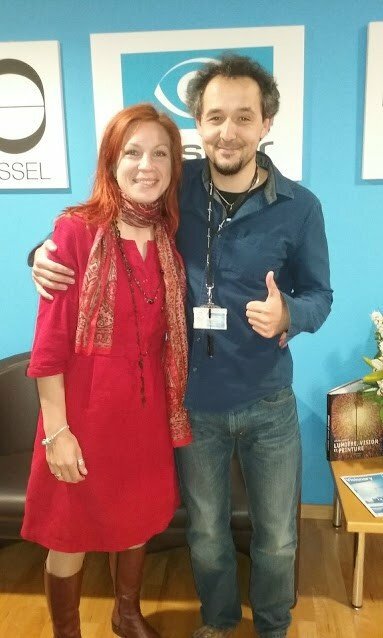 We extend our warm congratulations to Mat and Iwona for their personal exploit and for supporting Vision Aid Overseas, a long-term partner of the Essilor Group. If you wish to read more about Mat’s and Iwona’s experiences during this trip check out their blog.